I guess the alternative use-case would be committing crimes while still playing Angry Birds. What with it being winter and all, it would be great if Apple embraced the concept of letting people use iPhones while wearing regular gloves — something already offered by manufacturers such as Samsung. Well, according to a patent application published today, we may not be waiting too much longer because Apple has invented something called “Glove Touch Detection.” The patent would allow Apple touchscreen to work in situations where it is separated from a finger by a barrier, such as a glove. Yes, it’s written in good old incomprehensible patent-ese, but unlike many Apple patents (joystick under your iPhone Home button, anyone? ), this one is absolutely something Apple should introduce to the iPhone as soon as possible. Samsung debuted similar technology with its Galaxy Note 3 way back in 2013, as can be seen in the below video. 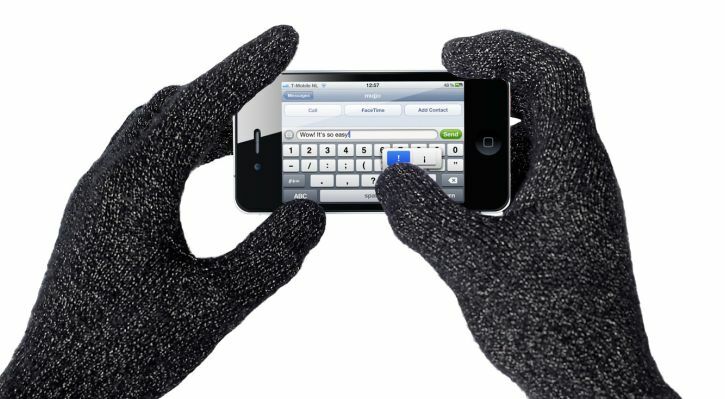 Right now, the only alternative for iPhone users is to use special touchscreen gloves.